lumber and U.S. manufacturing processes and quality control. certification agencies have applied for FQII. 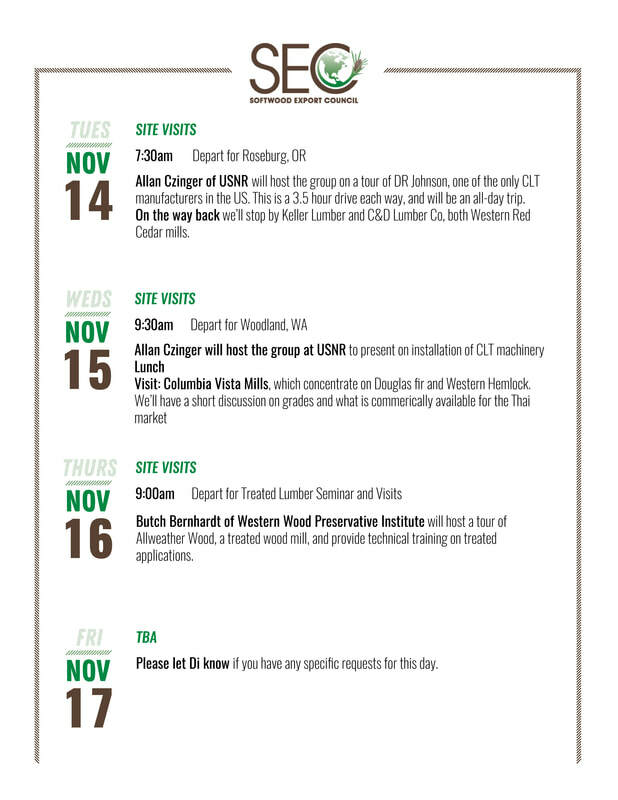 delegation learned about softwood lumber manufacturing processes, grading, and quality control. 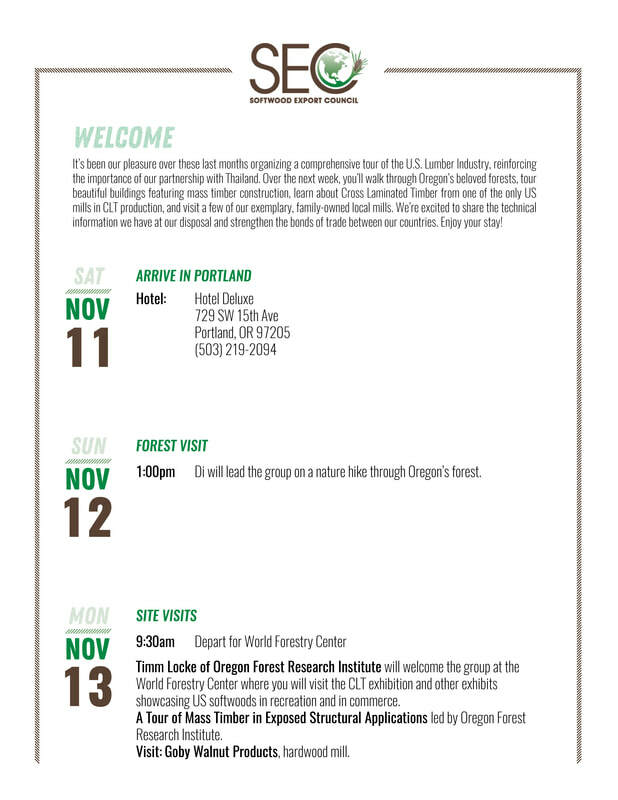 forest products laboratory and toured a CLT building. supplied by ALSC and provide feedback on additional information required. 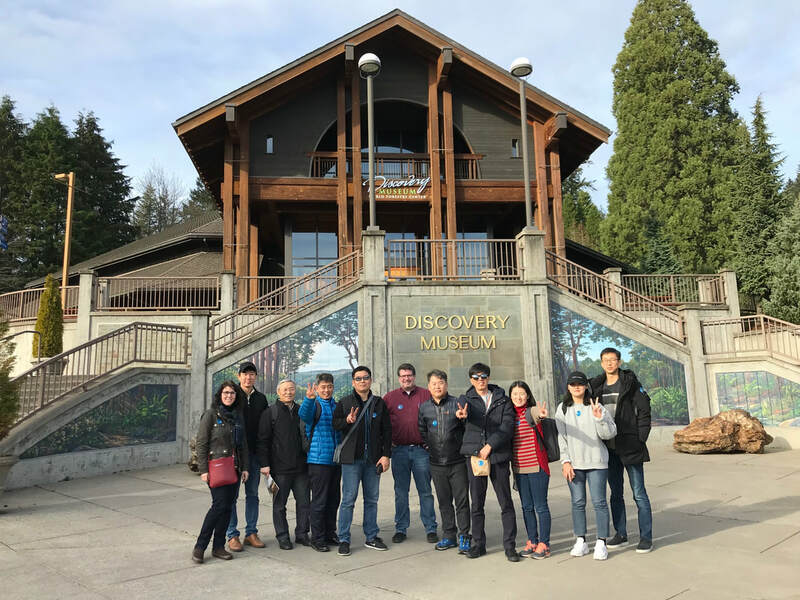 In the final months of 2017, SEC hosted two groups of incoming delegates from Mexico and Thailand. 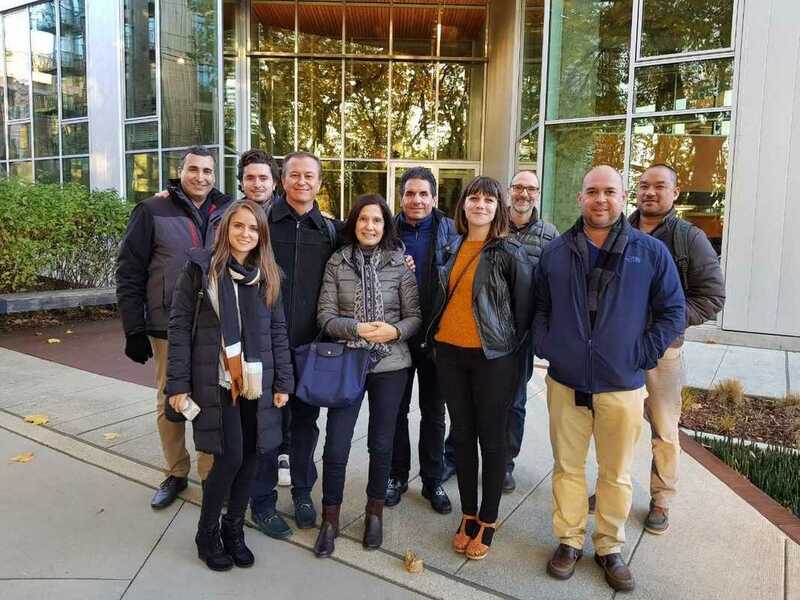 The Mexican representatives visited Seattle before attending the NAWLA Traders Market in Chicago, and shortly thereafter we hosted the Thai group in Portland for a comprehensive tour of the softwood industry in Oregon & Washington. While appealing to different markets, both of these missions focused on innovation at the mill and in construction, highlighting sustainability, efficiency, and the symbiotic relationship of these two properties. These tours are at the heart of SEC's mission: to build relationships through more personal outreach. 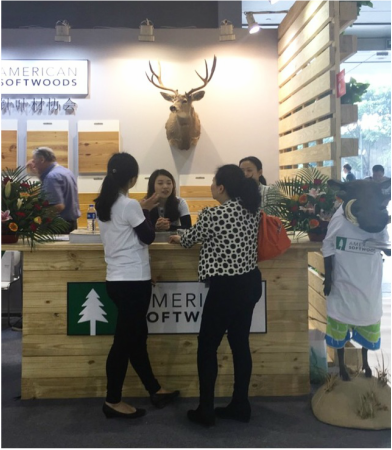 Hosting delegates is a strategic way to get importers from different markets to begin thinking about American softwoods, first because of the connection we've built, and finally because of the quality of our wood and the examples we have illustrated by examining creative end-uses. In demonstrating how and why the U.S. consumes wood, we join others to our cause, as our sites speak for themselves: wood is transformed for visitors into an exciting material that brings light and warmth into corporate spaces, character into homes, and carries enormous long-term benefits for the health of our planet. 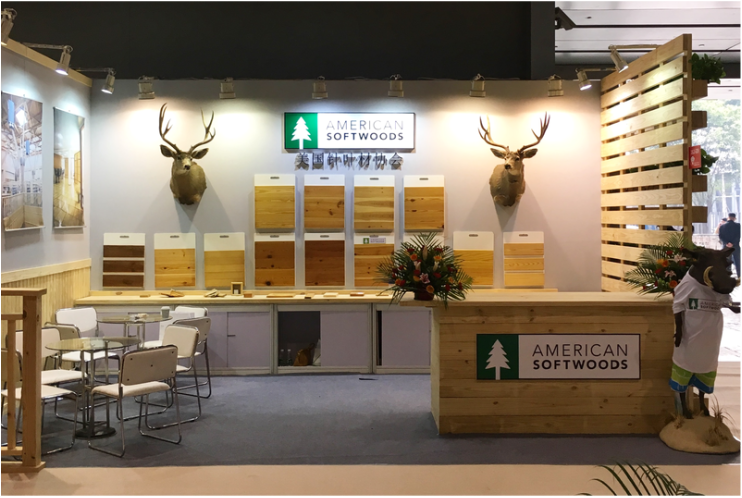 To prepare these inbound missions, our itineraries are carefully crafted to exhibit a holistic system that allows a burgeoning market to understand the advantages of American softwoods, and what it would take to replicate our best-practices. 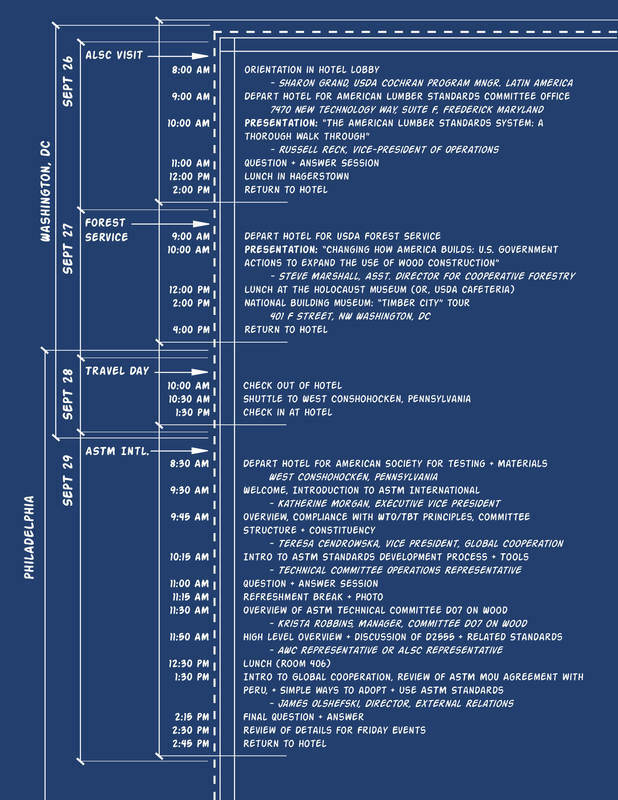 Our itinerary for the Thais is a great example: it included tours of a forest, multiple mills, a CLT exhibition, and construction sites that exemplified the possibilities of mass timber, while also demonstrating the opportunities for efficiency in construction that wood can provide. Likewise, our Mexican delegates visited finished sites where mass timber meets sustainability in public and corporate spaces. The seminars we arrange are supplementary, offering an opportunity to delve deeper and ask questions about what the visiting groups have seen. This technical training privileges structural lumber and construction sectors: when you teach people how to build with wood, they buy wood. 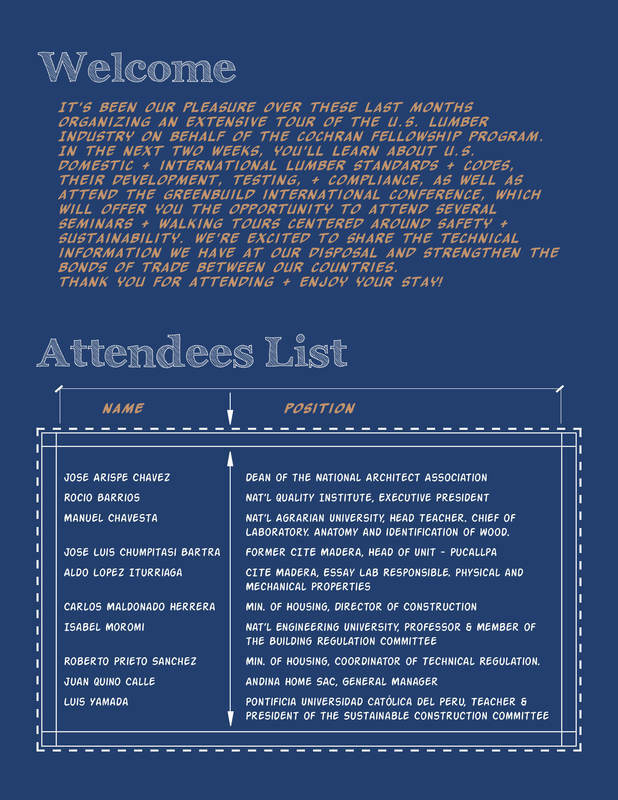 And, of course, we include networking opportunities for our members, and exposure to our industry. There are upcoming inbound missions planned for 2018 that will use these same systems-based tenets. 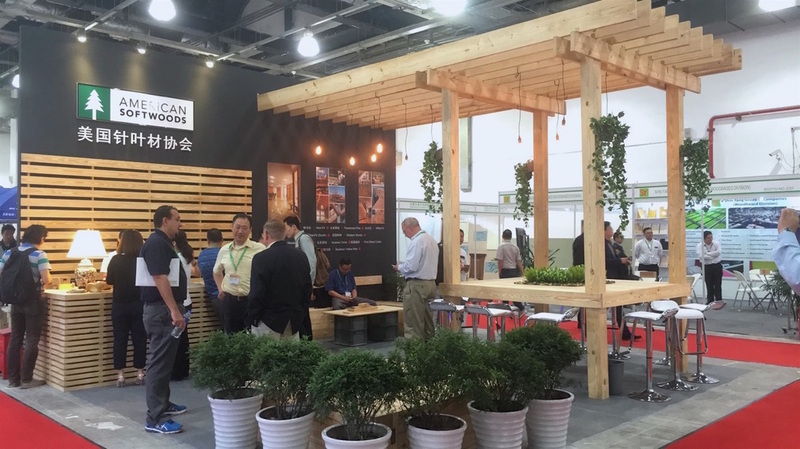 A delegation from China in January will focus on mass timber engineering systems, while an incoming Pakistani group in July will focus on sourcing. Ensuring our programs meet the needs of the markets they're designed to inform is crucial, as these are countries in different stages of development. 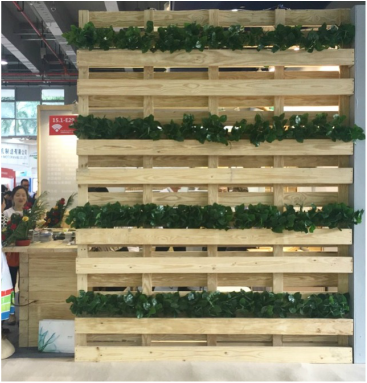 Pakistan is an early-market distribution area, while China has the infrastructure to handle mass timber and will be excited about the opportunities U.S. softwood can bring their growing skyline. If you have any suggestions for outreach or program-building, please let us know. You can contact Di Nguyen with comments and questions about inbound missions. In his presentation, Iain MacDonald addresses the ways in which we are learning to build taller, focusing largely on CLT. He points out the benefits of building tall wood structures, both economic, in building time and labor needs, as well as environmental, as wood construction allows for carbon sequestration and is a natural, renewable resource. Iain also addresses the learning curves inevitable in new wood building methods, and offers solutions to many of those concerns with the research Tallwood Institute has completed. Below, David Stallcop introduces a series of new products coming into the wood market, explaining the new, exciting wood products born often out of necessity. David discusses the origin of blue stain panelling, reclaimed wood from pallets, printing on wood with stain, and touches on multiple examples of prefabricated housing. In this lecture, David celebrates the energy of innovation as the driving force behind the future of the wood products industry. After successfully completing Emerging Market Program assessments for several South East Asian countries in 2016 (members can read these reports here), SEC is moving forward into Phase II. 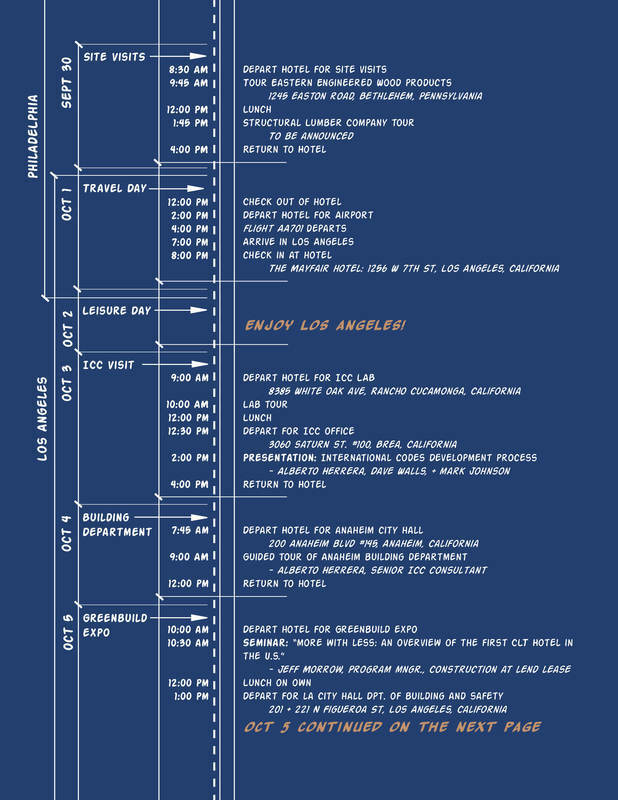 Phase II programs are allocated for grading and educational seminars in their country's respective locations, or in the United States. Over the next two years, SEC will work with OSU & CINTRAFOR to schedule grading & educational seminars in South East Asia. 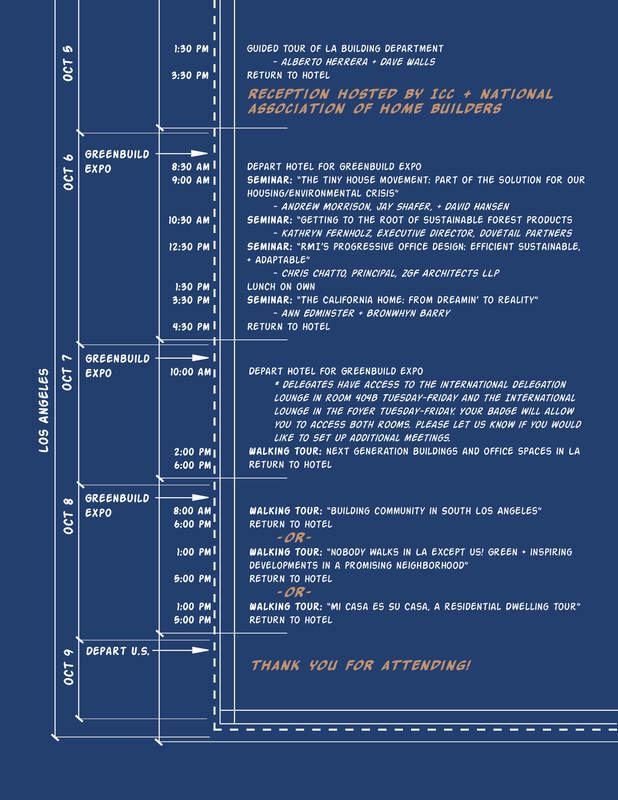 The first of these seminars will take place in Malaysia this fall. Leading the charge in market education overseas, Brian Court of Seattle-based Miller Hull has given seminars in Guadalajara and Beijing on Green Building during August and October, using the award-winning design for the Bullitt Center as a case study. 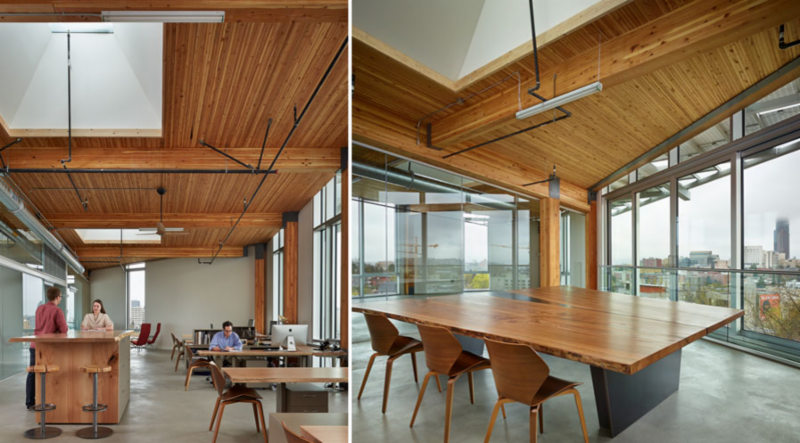 In addition to a waterless composting toilet system, rainwater harvesting system, and rooftop solar panels that yield an annual net zero energy use, the six-story office building features warm softwood interiors made up of glu-lam Doug Fir columns and beams. Court mixes materials for the most effective structure and exposes the lumber frame not only to save on materials and time, but also for the texture and richness that wood visually provides within the space. The natural finish is an expressive element of the building's design, and resonates with tenants: surveys from employees working in the Bullitt Center report that the number one most-loved aspect of the building is the exposed wood, a critical component that brings life to the workplace during the Pacific Northwest's long, gray winters. "There is a movement where spaces are more flexible, fluid, less prescribed--timber is an element of that," explains Court, "it resonates with people on a primal, emotional level."